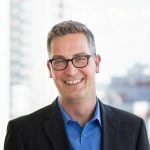 Giving Done Right, by Center for Effective Philanthropy (CEP) President Phil Buchanan, tells the stories of nonprofit leaders, including UTEC’s own CEO, Gregg Croteau, who bring the vibrant nonprofit sector to life. UTEC is honored to be featured as an example of a nonprofit that changes lives and measures outcomes to prove it. 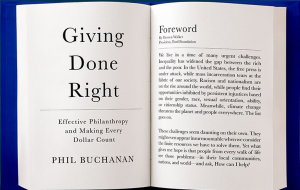 In the book, Buchanan and Croteau discuss UTEC’s experience as a recipient of philanthropic support, how the misconceptions of philanthropic best practices have affected the agency’s work, and the distinct challenges of running a nonprofit. We look forward to the Giving Done Right release on April 16! Learn more about the book and how to pre-order your copy at givingdoneright.org. The post Giving Done Right out on April 16th appeared first on UTEC Blog.